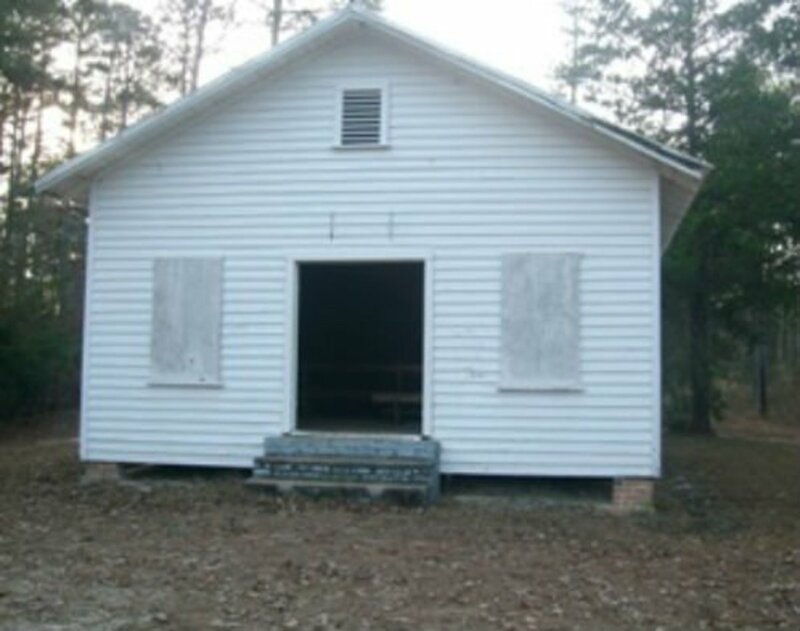 Consolation Primitive Baptist Church is located in Red Level in Butler County off Oakey Streak Road. The church was built in the 1800s but hasn’t had services in decades. The descendants of the persons buried there take care of the grounds and try to keep it in good shape. There are 102 graves here from 25 families. The oldest one that has a date inscribed is Elizabeth Huggins Josey, buried in 1857. The last burial here was B.C. Cook in 1983. The church as not been used in a long time. Why? Because of the banshees. The term banshee comes from an Irish legend. 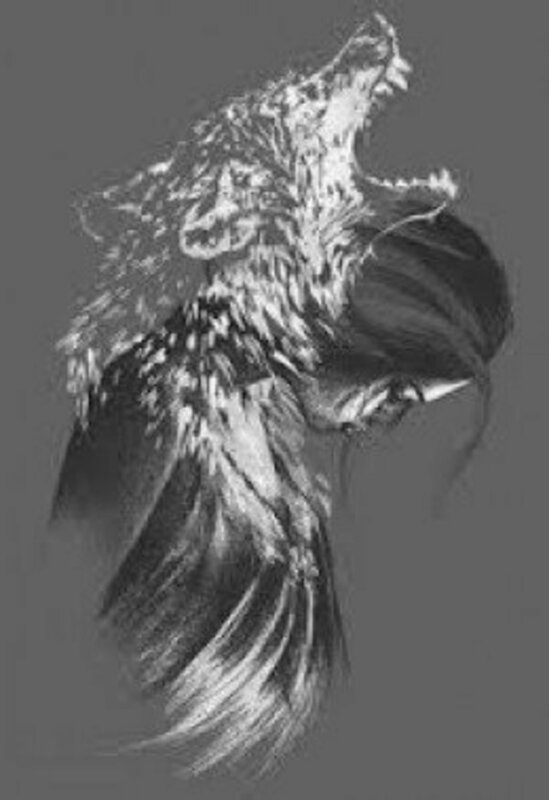 It is a spirit, always female, that wails when someone in the house is going to die. 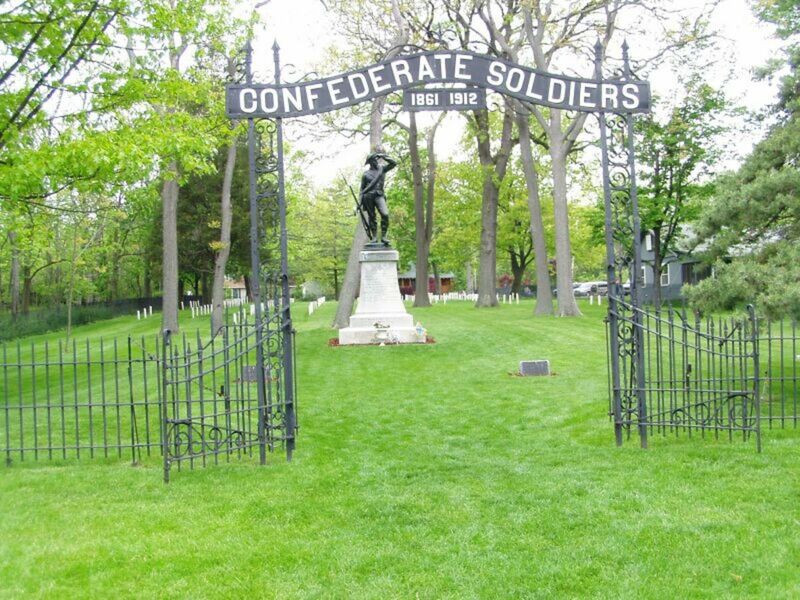 If you sit quietly inside the gates of the cemetery you can hear the sound of soldiers marching. Considering the location they are probably Confederate soldiers.There is an outhouse between the church and the cemetery. If you go inside and shut the door completely it will lock by itself. You cannot get out unless someone opens it from the outside. Spirit possessions of visitors to the cemetery have been reported, but none of those claims have been substantiated. Sometimes, but not always, a small ghost boy will come toward you as you’re leaving. He is carrying a ball. The legend says if he rolls it to you and you pick it up and give it back to him, you will die soon. It’s best to let him retrieve the ball himself. Leaving the cemetery is not always as easy as getting into the cemetery. As you are driving down the driveway toward Oakey Streak Road you’ll come up behind a little girl skipping down the road. Your car cannot get past her. If you try to go around her the engine will stall. You must drive slowly until you reach the main road and then she disappears. If you stay on the property for too long a black 1960s model Ford pick-up truck will try to run you off the road. People have claimed to see demons in the forms of dogs, called hellhounds, roaming throughout the cemetery. On Monday, February 16, 2015 the Consolation Primitive Baptist Church was completely destroyed by fire. The building had no power connected to it as it had not been in use for a long time so electrical problems were ruled out. Arson was suspected and it wasn’t the first time the church had been desecrated. The Butler County Sheriff’s Department investigated what it called “cultish behavior” in June of 2007. Thirteen people, including ten juveniles were charged with criminal mischief and burglary. 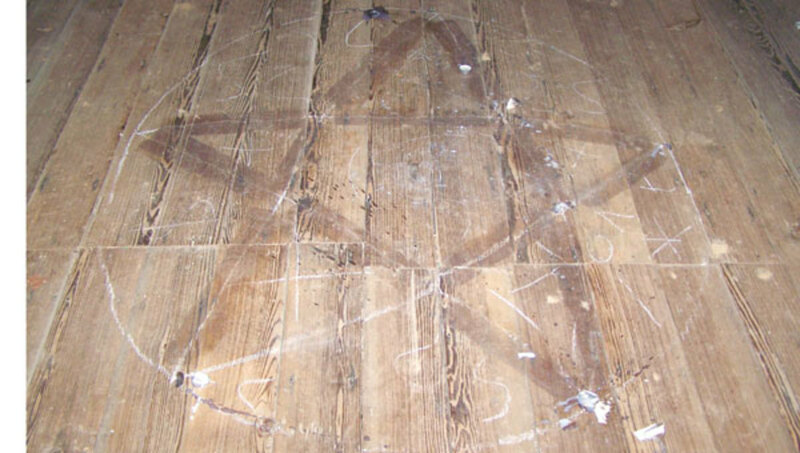 During the time before the church was burned vandals had broken windows, burned pews and even scratched a pentagram, which is an occult symbol, into the floor. Harrison Cemetery is located in Kinston off County Road 484. Kinston is in Coffee County in southern Alabama and has a population of about 540. The cemetery has about 260 interments. The graves go back to 1860. 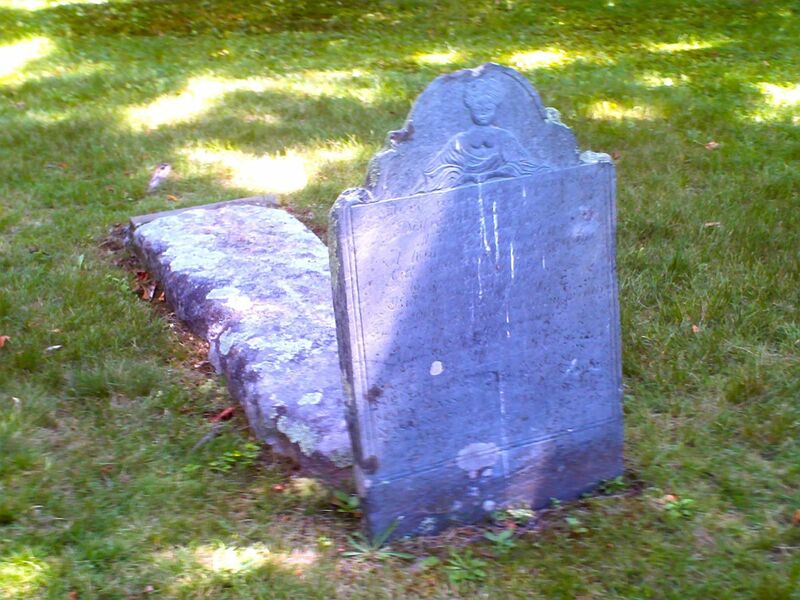 The ghost of Harrison Cemetery is William “Grancer” (Grand Sir, a Scottish form of grandfather) Harrison. He was born in 1789 and died in 1860. He is often seen dancing at his grave site and apparently he was quite eccentric. Grancer was a successful cotton planter who loved dancing and partying so much that he built a dance hall on his own property so he could have a party every week. As he got older he realized he was not going to live forever, but he wanted to keep partying, even beyond death. 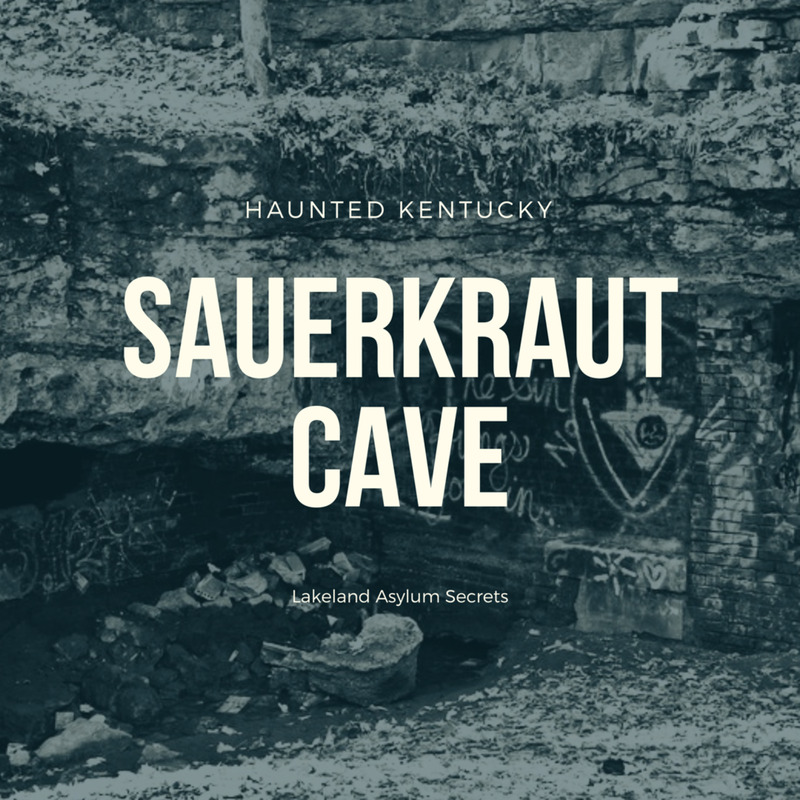 He had a grave site with an above ground tomb built and placed near the dance hall so he could still enjoy the parties even after he died. He had his slaves go to a brick kiln in Milton, Florida 80 miles away and return with loads of bricks. Grancer left instructions that he should be buried in his dancing clothes, wearing his clogs, and lying on his feather bed. After he died the parties became less and less frequent until they stopped altogether. Unfortunately the tomb has been vandalized several times in the last fifty years. Each time it has been repaired until recently. The last time it was rebuilt was in 2005, but it was vandalized again in 2010. McConnico Cemetery is on Dales Ferry Road off Highway 84, close to Perdue Hill, in Monroe County. It is also known as the McConnico-Steele Cemetery. It has 447 interments and dates back to the early 1800s. 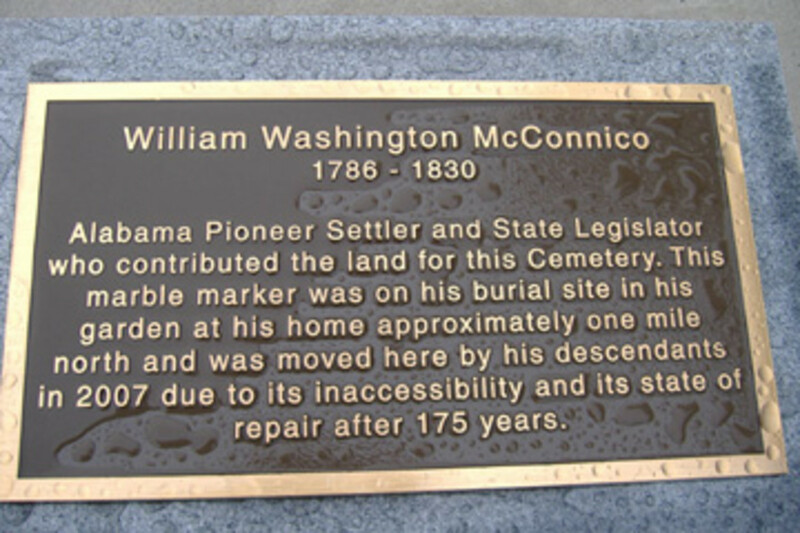 The land was donated by William Washington McConnico to serve his family, friends, and neighbors in that part of Monroe County. He was buried there himself in 1830. 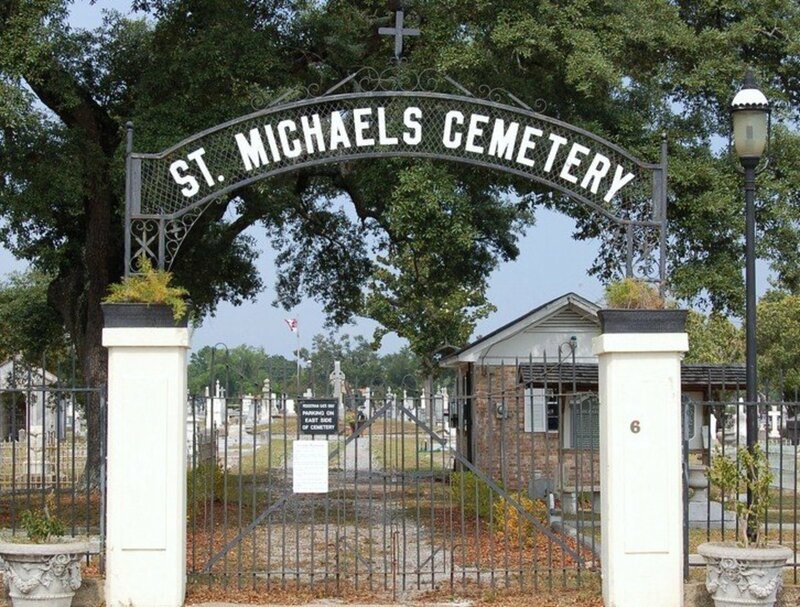 At the time it was a growing community and he felt his African-American and Creek Indian friends also had a need for a cemetery so he designated the northern half for whites (McConnico) and the southern half for the African-Americans and Indians (Steele), which was the custom of this era. The two halves were separated by a fence with privet, cedar and camellia shrubs growing alongside. The haunting of McConnico-Steele Cemetery goes all the way back to 1865. Charles Licklin and his wife were riding past the cemetery in their carriage. They suddenly saw twelve ghostly horsemen, six on either side of the carriage, riding along side them. The soldiers all had bandages wrapped around their heads. Lafayette Sigler was a Confederate soldier who would singlehandedly ambush groups of Union soldiers, kill them, and then cut off their ears. These ghosts have been seen in the cemetery on and off for over a hundred years. Sigler has also been seen here as though he is still chasing Union soldiers. Bass Cemetery is located in Irondale at the end of a dirt road off Ruffner Road. There are 534 interments, supposedly going back 200 years, but the oldest marker with a date is 1860. People report a feeling of unease as they walk among the graves as if they are being watched. One of the ghosts may be Montezuma Goodwin who was murdered by his brother-in-law the day after his 39th birthday. There have been reports of strange mists, orbs, unexplained noises, and partial figures materializing. The whole cemetery has a creepy, abandoned feeling even though it is still used for burials. It is in a fairly isolated area and not the easiest place to reach. It sits at the end of a 1.5 mile long dirt road. There have been rumors that the cemetery has been used for occult rituals. There has also been some desecration of graves. ok me and my Girlfriend went to Bass cemetery last night. We actually did take a recorder with us and we got several unexplained voices....one of them was obviously a black man yelling out "Matthew"....another was the sound of laughter and also the sound of something being beat on.....i guess its understood that me and her were the only people out there and these voices were not heard until we played back the recording. 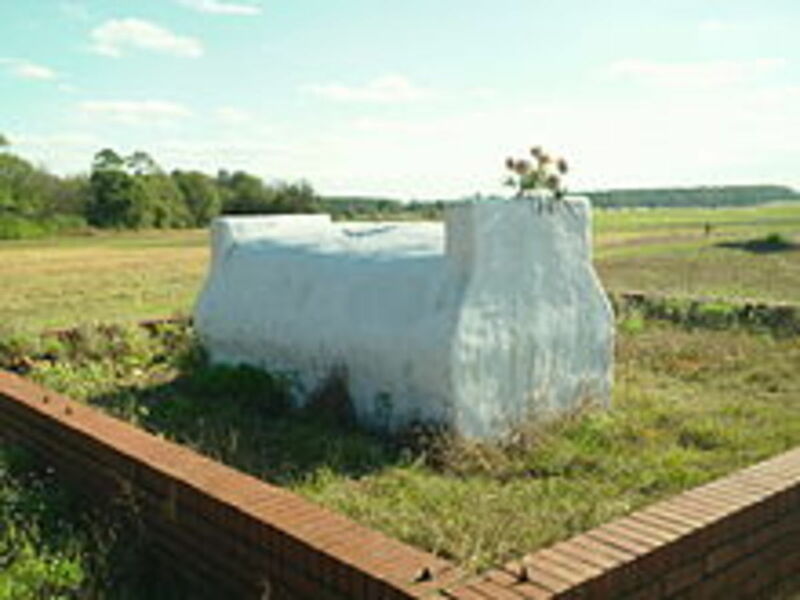 Memory Hill Cemetery is located in Albertville off Highway 431. 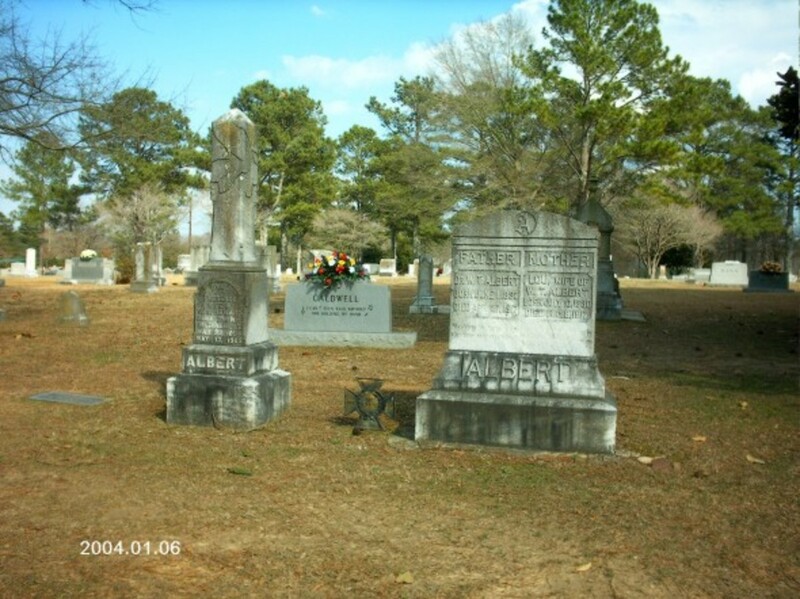 It has over 45 acres and 4,730+ interments which makes it the largest cemetery in Albertville. The graves date back to the mid-1800s. If you walk to the center of the cemetery cold chills will run up and down your spine. Late at night you can see a little girl walking around and humming Amazing Grace. A living little girl once found three dead squirrels lying on the ground under a huge tree. They had frozen to death. The creepiest thing is that it was the middle of the summer! yes its haunted! I worked there for several years and grew up in a house on the same street. At night if your alone you walk the road and you will be followed. you will hear footsteps and get very cold even in the summer. It actually once was a landfill many years ago. I have been followed by unseen people. Had my named called while working in the shop when no one was around. There are stones that seem to turn themselves and the workers have to straighten them back. so many happenings and experiences all the employees have had it’s amazing no one ever talks about it. 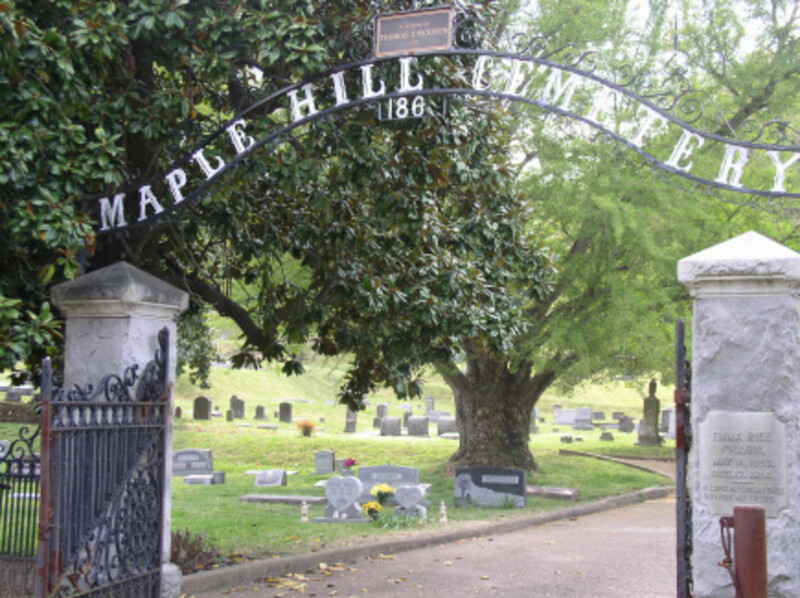 At almost 100 acres Maple Hill Cemetery is the largest and oldest cemetery in Huntsville. 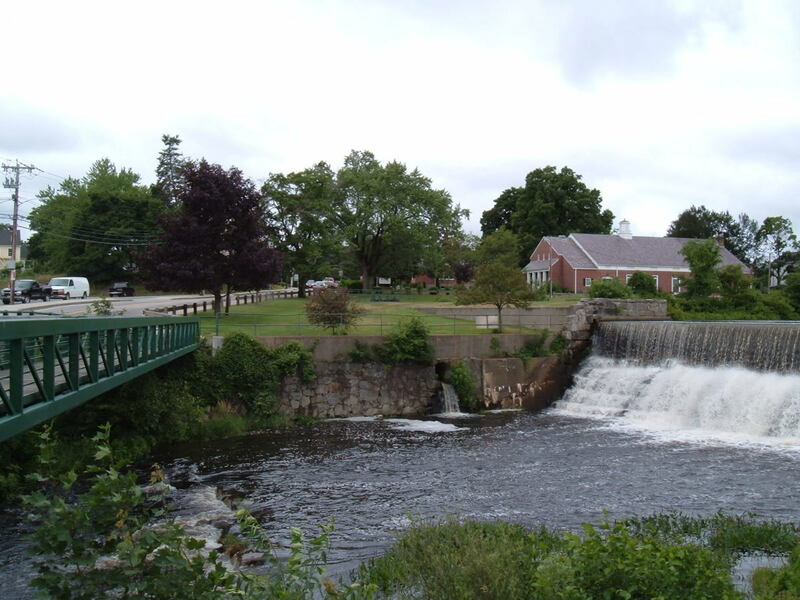 It was founded in 1822 and has over 80,000 interments. There is a small playground that sits behind the cemetery called Maple Hill Park. But the locals have a different name for it, “The Dead Children’s Playground.” When the sun goes down the ghosts of children can be seen running and playing here. The sightings go back almost to the building of the cemetery, but the number of sightings increased dramatically after 1918 when so many children died of the Spanish flu.